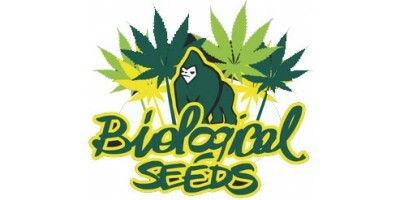 Helped by the most professional breeders we selected for you the best, more popular strains. Safe, reliable, high quality seeds, germination guaranteed. All our seeds are FEMALE. The Cannabis called AK BIO offers an alternative to the proposals of the market with a strain reliable, efficient and at a reasonable price. As the eponymous rifle, she possesses tremendous power universally appreciated. A witness to its success are the twelve awards that make this the most awarded genetic in the history. 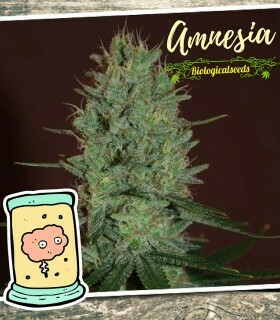 The origins of Amnesia can be traced back to Sativa strains originating in the Bay Area in California in the seventies, and then to the patience and dedication of an immigrant American who would have united the original strain with Haze seeds creating this widespread and appreciated variety. 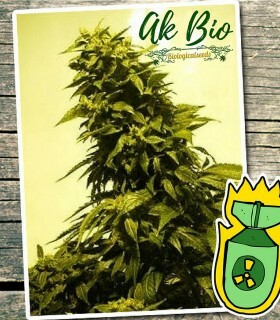 The AK BIO is a strain close to the famous AK47, one of the most famous classic varieties of Cannabis. The crossing of genetics from which she came, produced a strain with more sativa features, known for its good performance and especially appreciated for its strong effect. 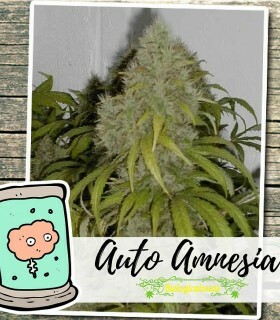 Auto Amnesia Haze of Biological Seeds is the result of a long process of selection to amend the main aspects that made the original Amnesia Haze unappetizing for both hobbyists and professional growers. 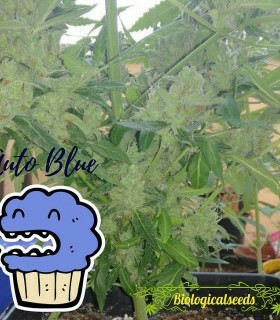 Auto Blue of Biological Seeds is a plant with fantastic blueberry flavor and color nuanced and streaks of blue / violet. It is a plant mostly Indica, approximately 85%, durable, easy to grow and with a life cycle rather fast. 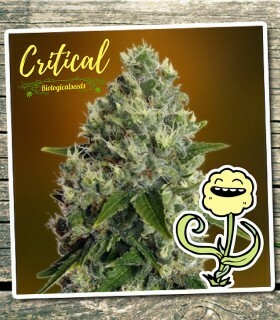 Critical is one of the varieties of cannabis most famous and appreciated by farmers around the world, it has won many awards in the Netherlands and Spain, and rarely gives problems in growing or in germination. The "White Dwarf" Autoflowering of Biological Seeds arises from the crossing of two indica selected for their power. 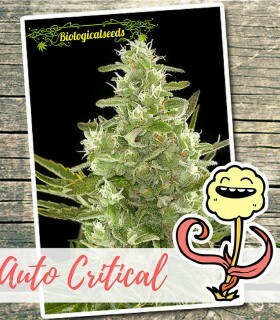 The Auto Maxi of Biological Seeds is a large autoflowering obtained by crossing autoflowering varieties of Critical and Ak47. The result is always of high level for its production, higher than the average of the typical auto-flowering. 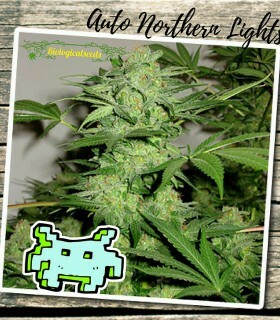 The Northern Light is one of the strains of Cannabis best known in the world. It seems like it was cultivated in the 70s in the United States from Afghan genes, and arrived in the 80s in the Netherlands. 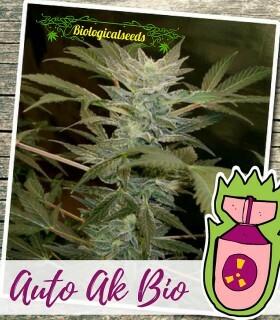 Skunk Automatic of Biological Seeds is a hybrid auto-flowering plant from the strain rugged, productive nicely compact and very easy to grow. It also allows the inexperienced grower to achieve excellent results both in terms of quantity and quality. 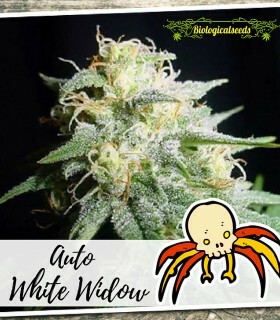 Geneticists of Biological Seeds were able to select a variety of White Widow which easily adapts to any type of cultivation, producing a robust plant and strong inclined to forgive the mistakes of the first-time growers. Critical is certainly our best result. We got that gene from very far away, using Indica-dominant strains. Then we selected the best ones to have a superior product that is probably one of the most appreciated by regular smokers. 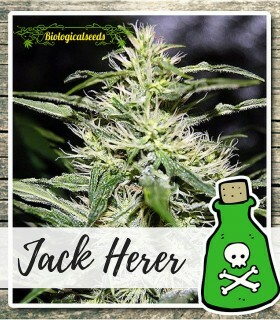 Jack Herer is a plant considered among the best in the world, well known predominantly Sativa hybrid, named by the author of "The Emperor Wears No Clothes" one of the most committed activists on the front of the legalization of cannabis, it is therefore a real tribute. 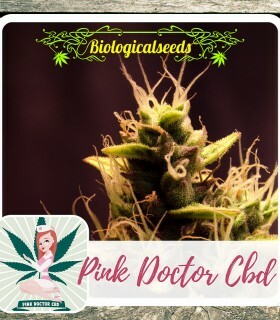 Kinder Kush by Biological Seeds is a feminised cannabis seed, belonging to the “Guru Plant Genetic” line, that has its origins in the cross of three legendary genetics: an OG Kush, a Kosher Kush and a Thai Sativa. 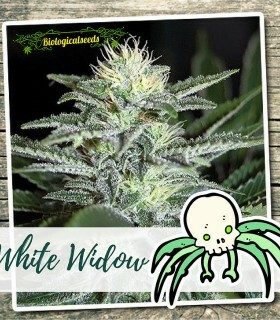 The White Widow in general and that of Biological Seeds in particular, is known for several features that distinguish it from other genetics of Cannabis making it unique and unmistakable. Selected, high quality, guaranteed hemp seeds is what we are producing. We are willing to give you the best for a fair price. Our production chain is precise, with smart packaging, careful handling and quick delivery. 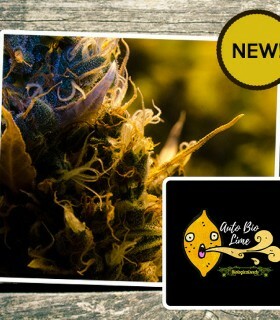 Our strains are both classic and newer ones, a basic selection. No fancy names, you know exactly what you are buying. We only use stable, well known, productive, healthy, strong genetics.